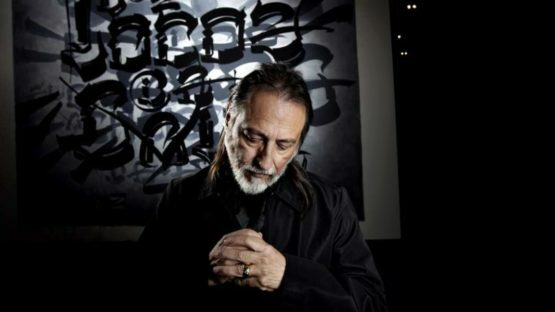 Charles Chaz Bojorquez often referred as a godfather of cholo style, is one of the oldest living Mexican-American graffiti artists. Even though it’s not the easiest thing to keep the step with creating street art, this 68-year-old constantly manages to move its boundaries. In his youth, he was given the tag Chaz, which means the one who messes things up and likes to fight, and he still pertains that vital spirit regarding his creations and work. 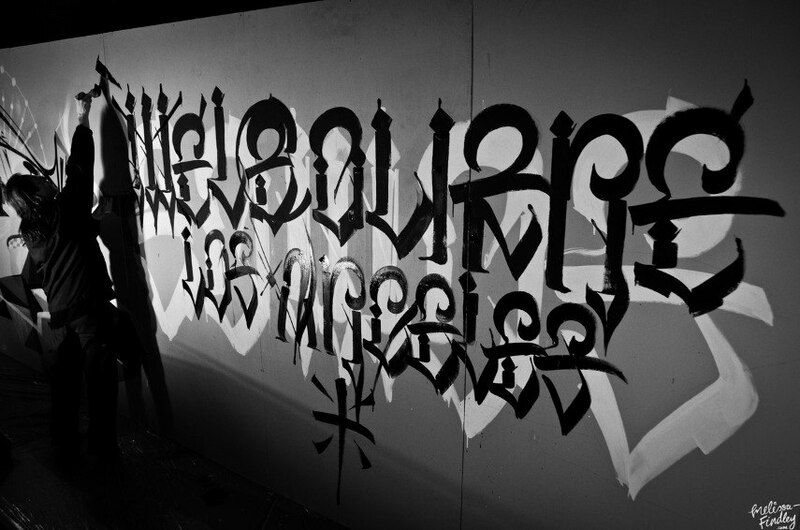 He was born in 1949 in East Los Angeles where he was immersed in the beauty of graffiti of Latino gangs since youth. Those gangs had their special tags and an honored code of writing on the streets that were statements of their ownership and territory, but as well were stylized graffiti letters known as placas, to be distinguished among themselves. Firstly, Chaz finished Chouinard art school and studied Asian calligraphy from Master Yun Chung Chiang, so he could use that knowledge and combine it with the cholo gang graffiti. In the end of the 60’s, he started painting on Los Angeles streets – preferring brush and paint over spray. Precise and sharp lines of the Gothic typeface is the hallmark of his style. Chaz explains his choice: The typeface is Old English, some people call it Gothic. It goes back to the first printing press, the Gutenberg, where the Germans used it to represent the government. It’s a prestigious typeface used in birth certificates, the Declaration of Independence and newspaper logos like the L.A. Times. 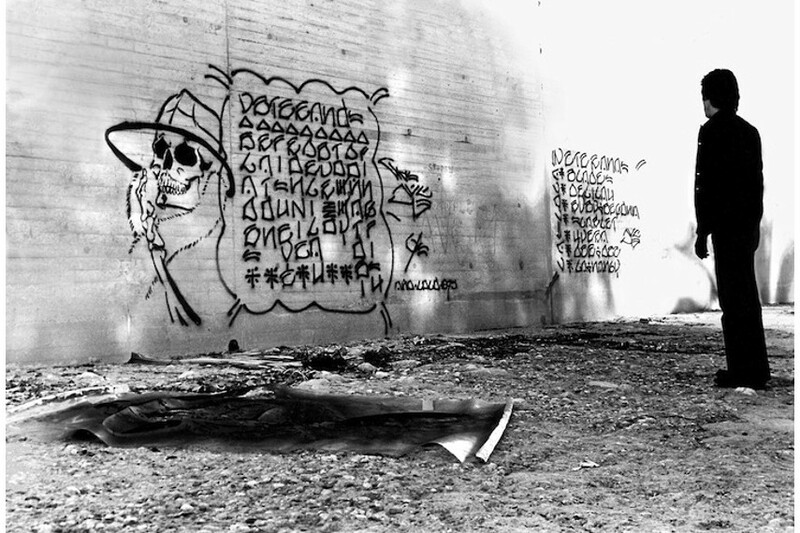 In 1969 Chaz created his most famous tag, Señor Suerte, which depicts a skull with a fedora that was so widespread and adopted among the gangs that it became a tag with a superstition value – who had that tattoo couldn’t get killed. This tag, inspired by Mexican folklore and the cult of Holy Death, was an important part of the Chicano urban art movement. It is one of the first examples of stencil art applied to the street. 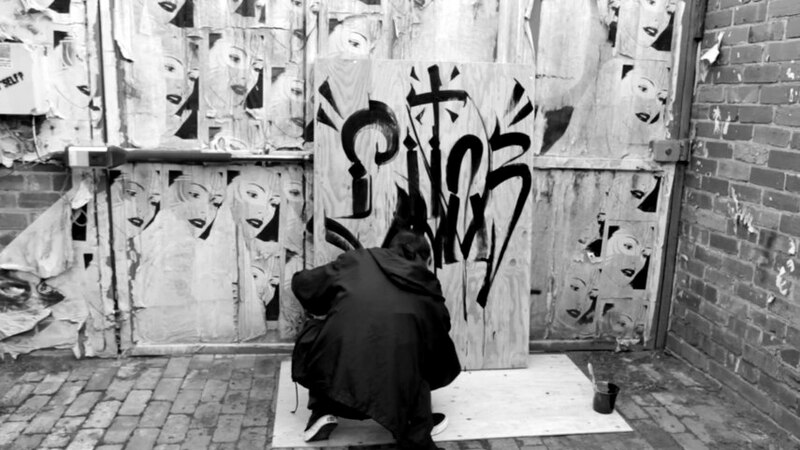 Chaz succeeded to create art that is influential and important on multiple social and aesthetic levels. Today, Chaz is still confronting many prejudices. Besides from working as an artist in advertising, he also created logos for films such as The Warriors and Turk 182, or master inking for The Empire Strikes Back, the Muppet movies and James Bond. You would think that doesn’t fit the free spirit of graffiti or the artist life, but it does. It puts my work in the context of culture. He insists on broadening the horizon as an important aspect of every art. In the late 70’s he went on a three-year journey around the world to study and experience other cultures and calligraphic languages. He insists on the inclusiveness of his art, saying he makes art about us not himself. His arts is exhibited in galleries and museums such as The Smithsonian Institute, National Museum of American Art, LACMA, MOCA and Laguna Art Museum. Chaz Bojorquez lives and works in Los Angeles.